With so many differing opinions on parenting these days, it seems like there isn’t much we all can agree on. From the attachment parenting mommies to the helicopter parenting mommies, the working mommies to the stay at home mommies, and now we have an ever-growing number of stay at home daddies, but we rarely all agree. What we can all agree on though, is that parenting is hard and kids are expensive. When I first started collecting items for my first daughter’s arrival I quickly realized several things. First, cribs are insanely expensive. Second, they are pretty darn big for something so tiny to sleep in. Third, we didn’t have enough room or money for a huge, expensive crib. These realizations coupled with my crazy pregnancy hormones reduced me, rather quickly I might add, to a blubbering, teary mess. Lucky for me (and you) there was a solution to this crib conundrum. I would find and purchase the best mini crib available. Mini cribs for babies are a wonderful way to allow your precious angel to slumber safely while you save money and space. They are easier to find and more popular than ever, so it’s easy to find the best mini crib that is perfect for your growing family. 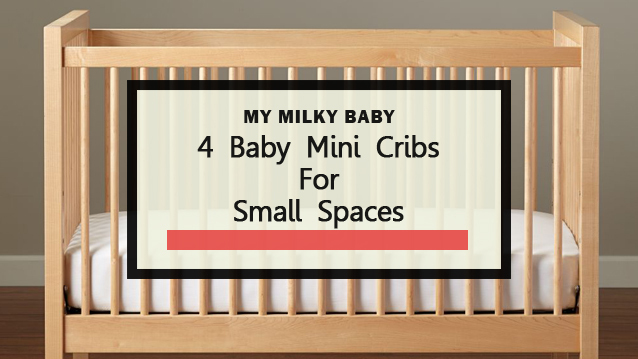 In the spirit of saving time here are reviews on four of the best cribs for small spaces. This crib is an excellent choice for parents who want their baby to sleep comfortably, in more than one place. If you are like me, you need to catch up on work, cleaning, or maybe a quick nap yourself while the wee one takes a trip to dreamland. This crib features removable wheels that allow you to quickly and effortlessly move it from one room to another so you can be near your child while in different areas of the home. This crib also rocks, literally. It has a rocking feature to allow you to help your little one sway off to a restful slumber. The DaVinci Alpha Mini Rocking Crib comes in several wood finishes including Cherry, Natural, and Espresso, allowing it to fit in with a variety of decorative themes. There are four mattress positions available to maximize the length of time your baby can sleep in this mini crib. The crib has a great compact size that allows you to easily move it through doorways. Now, I’m not sure if you have ever tried to move a full-size crib through a doorway. Let’s just say my one experience in that area ended with me vowing to never again help any friend or family member to rearrange baby furniture ever again if it involved a large crib and a doorway. The DaVinci Kalani is another excellent choice. This mini crib has the look and feels of a fancy full-size crib with sleigh bed detailing. DaVinci created this mini crib using the same style as one of their most popular full sized cribs, so it’s a smaller and less expensive version. This mini crib is really pretty to look at, which may not matter to your child, but it really does look great in a wide variety of décor. You can find this mini crib in White, Grey, Chestnut, Ebony Black, and Espresso finishes. The Kalani is also very sturdy and solid feeling. The DaVinci Kalani 2-in-1 also has the ability to be converted into a twin-size bed for when your rug rat begins that adorable yet dangerous jailbreak phase. One of the biggest heart attack-inducing moments for a parent is the first time they get out of the crib on their own. Then comes the realization that you are going to be stuck spending more money to buy them a new bed. With this mini crib, that’s no problem. I also recommend this video bellow to see how this crib’s mattress looks like! The Dream On Me Addison 4-in-1 Convertible Mini Crib is a stunning option, that has the added bonus of being able to grow with your baby from infancy to their latter teens. This mini crib can go from being a crib to a daybed, to a youth bed, and finally to a twin-size bed. It is available in Cherry, Espresso, Natural, White, and Black finishes allowing it to compliment a wide variety of decorative themes. Price wise it falls in between the DaVinci Alpha and Kalani mini cribs, so it is as easy on your bank account as it is on the eyes. Once again you will need to purchase a separate mattress that is the correct size for many cribs. Dream On Me also makes mattresses that I can tell you from experience are actually pretty wonderful. The Dream On Me Violet is a highly versatile crib that can convert into a day bed, youth bed, or twin bed. It is available in Cherry, Espresso or Black finishes. I really love the way this crib is designed with a unique, curvy flow. It’s a beautiful and adaptable piece. And as with other convertible cribs, it is a lasting investment since it can grow along with your child. Kids outgrow things so very quickly, so it is nice to find things that can last for a long time. This option also has a lower price than other convertible cribs, which makes it even more attractive. 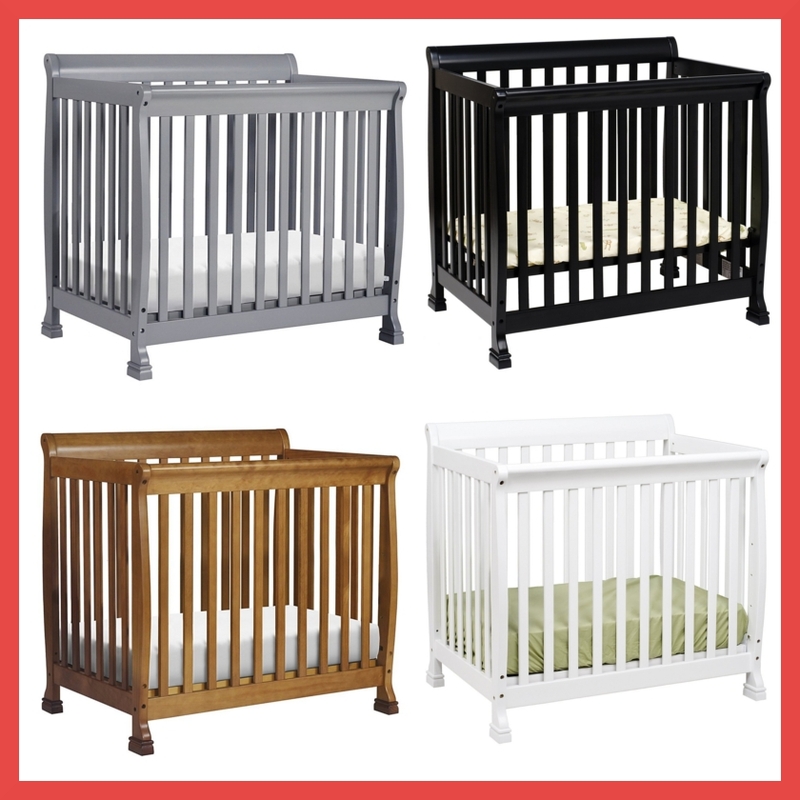 Overall you really can’t go wrong with any of these options when looking for the best mini crib available. A mini crib will save you space and money, which are two extremely important things when raising children. From beautiful designs with the ability to convert into larger sleeping options to rocking cribs that move seamlessly from room to room, there are a plethora of exciting features and bonuses for each of the mini cribs reviewed. No matter which mini crib you choose, you’ll rest easier knowing your bundle of joy can sleep comfortably and safely in style, without taking up already limited space or blowing your budget.